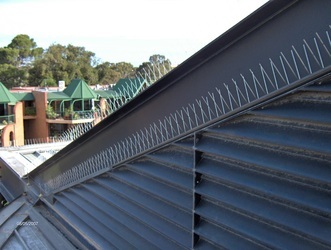 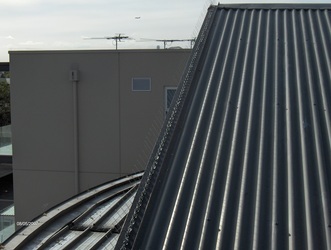 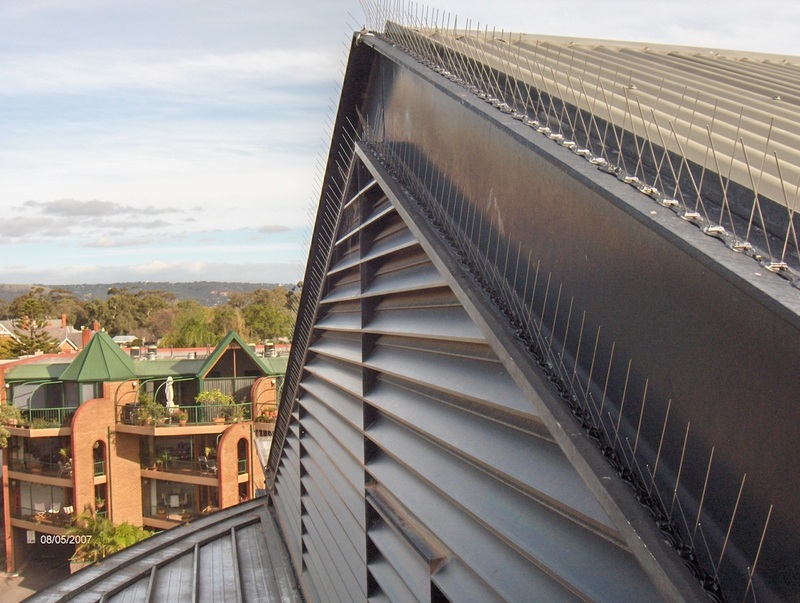 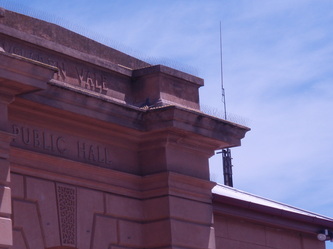 Bird spikes are one of the easiest bird proofing products to install. 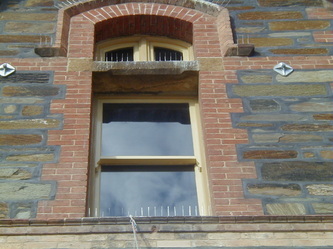 They are glued onto windows, pipes or ledges to stop larger birds from landing where they are not wanted and stop them from nesting. 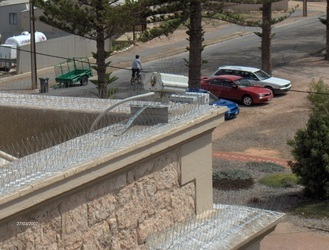 Advanced Nets & Ropes install bird spikes to buildings and supply traps to stop birds from landing and nesting where they are unwanted. 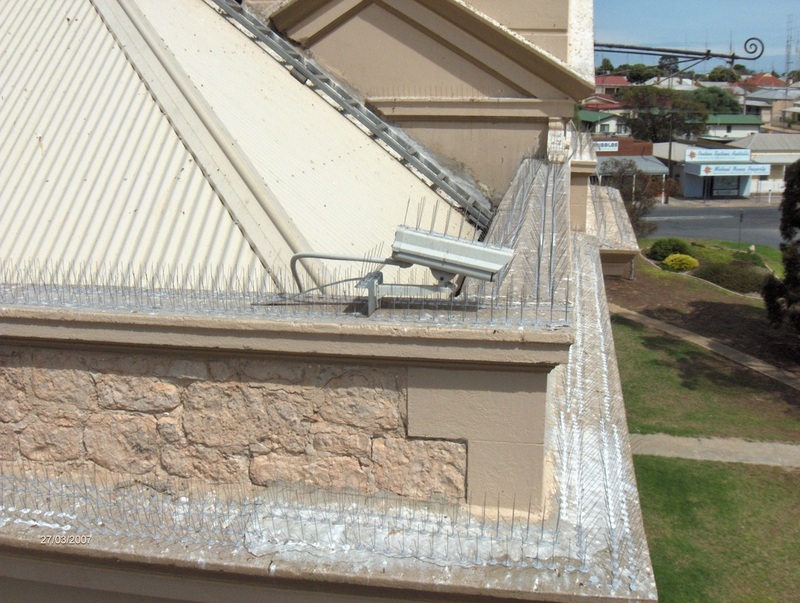 Unobtrusive and effective at stopping all larger birds like pigeons and gulls from landing and nesting on flat or curved surfaces. 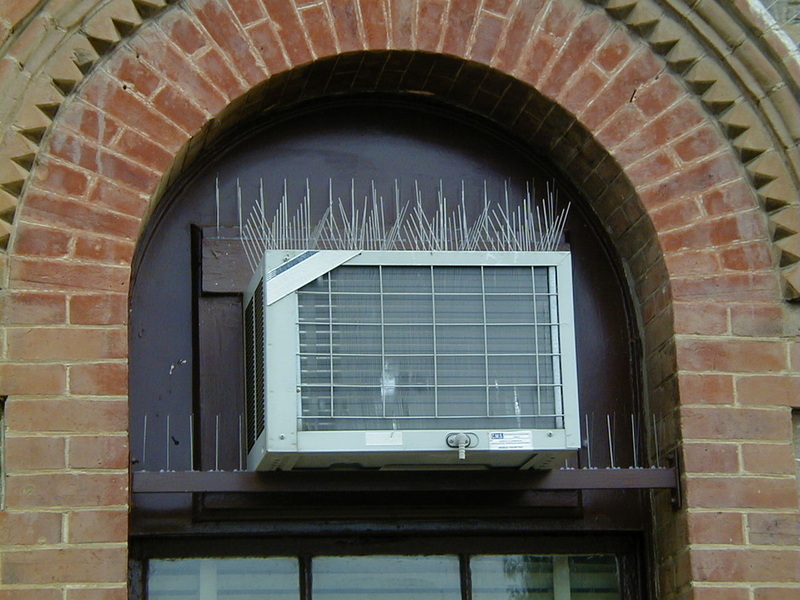 Bird spikes can be fitted to almost any structure and are useful for awnings, ledges and objects where birds tend to land or nest. 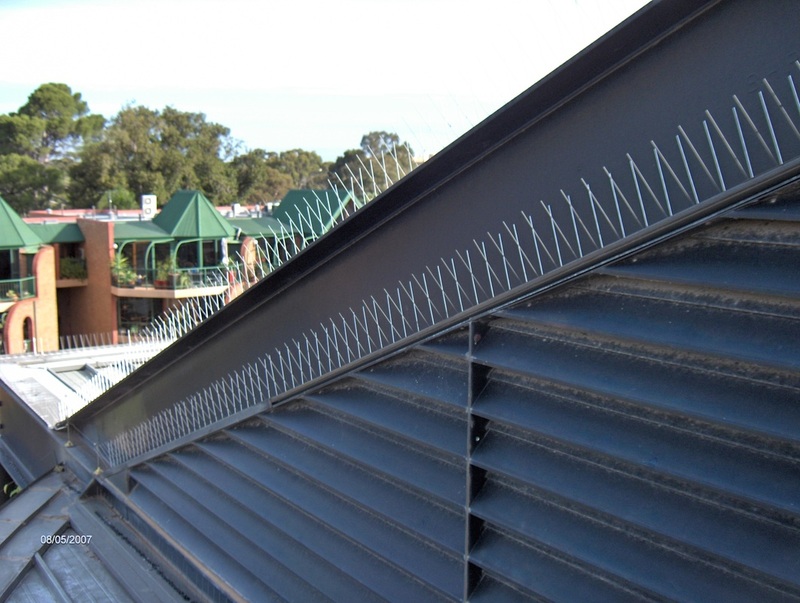 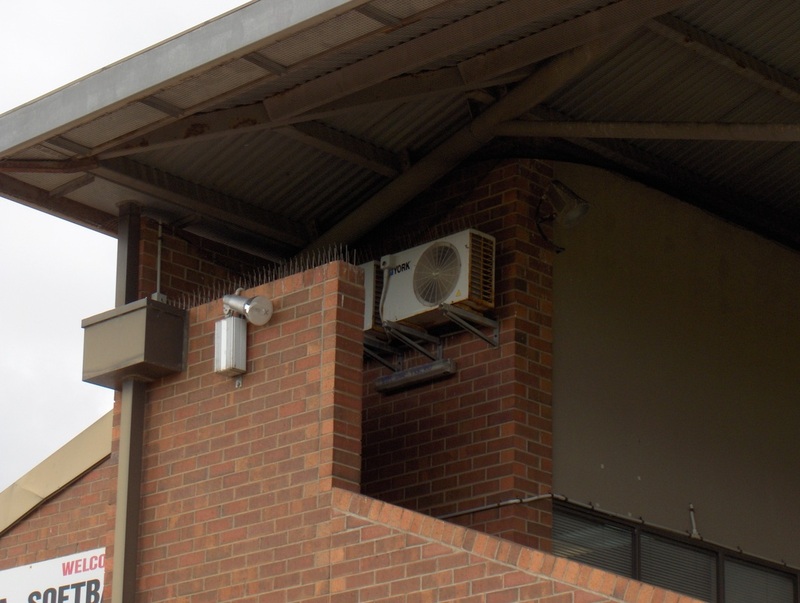 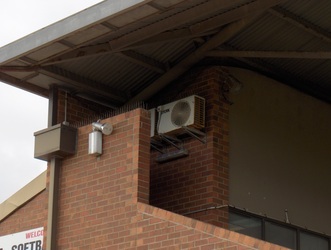 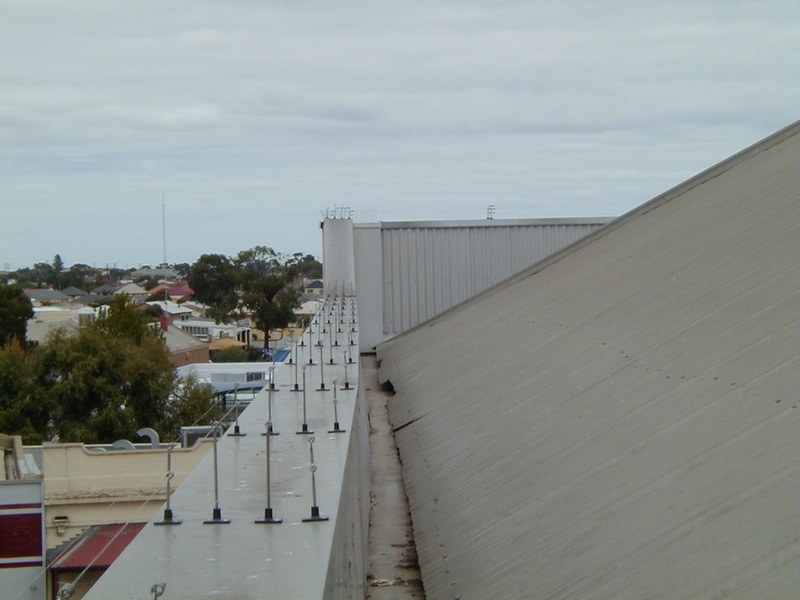 Anti Bird Spikes can also be used to protect equipment such as security cameras, lights, air conditioners and alarm systems from birds. Depending on the area being bird proofed, an anti bird wires system may be a more practical solution. contact us for more information on the best option for you. 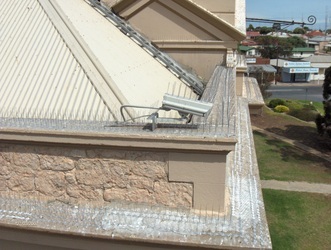 • All installations carried out by Qualified & License staff. • Interstate and overseas work welcome. 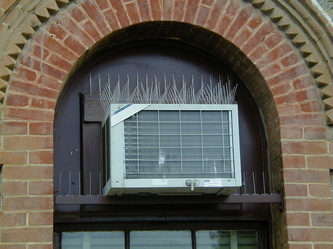 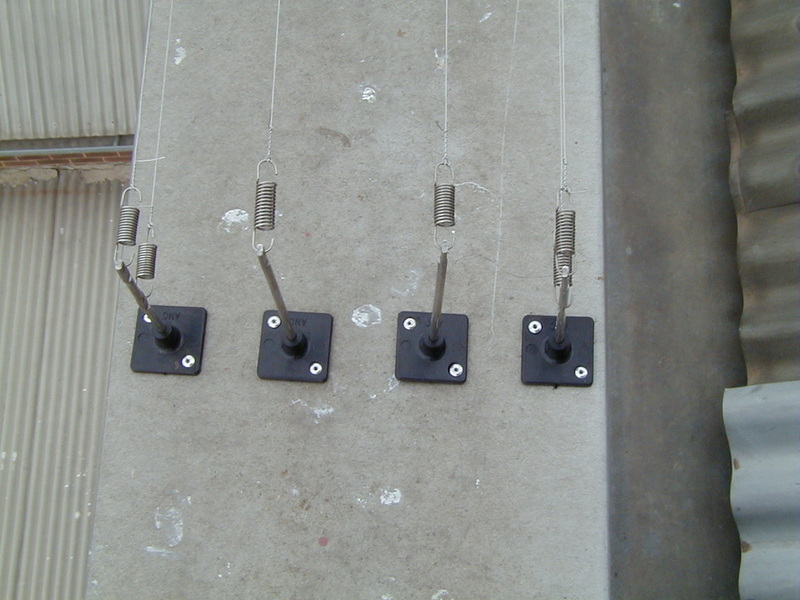 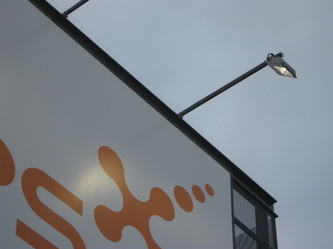 Spikes can be profesionally installed by us or we can supply a D.I.Y. kit.